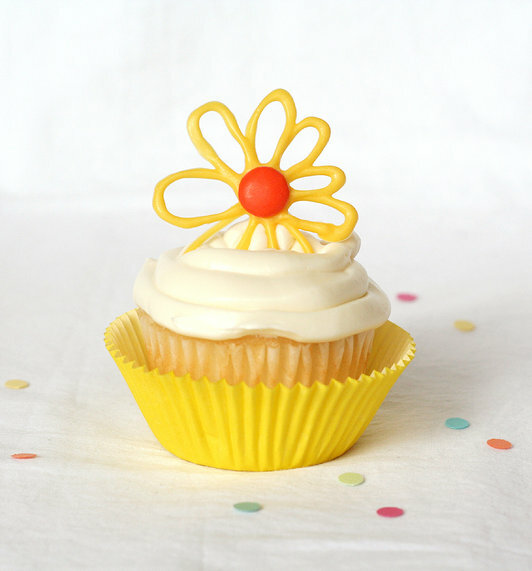 It's Written on the Wall: Cute Cupcakes-Made even better with a Fun TOPPER! Cute Cupcakes-Made even better with a Fun TOPPER! 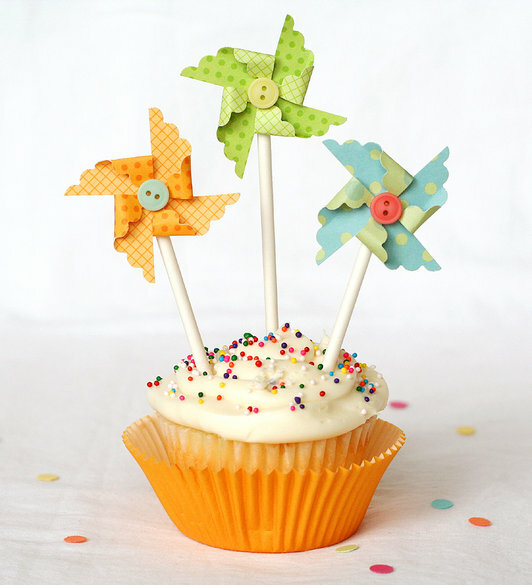 I love finding cute cupcake toppers and I love pinwheels....so this one caught my eye. Pinwheels are very easy to make. These pinwheels edges were cut with a decorative scissor to make them even cuter! 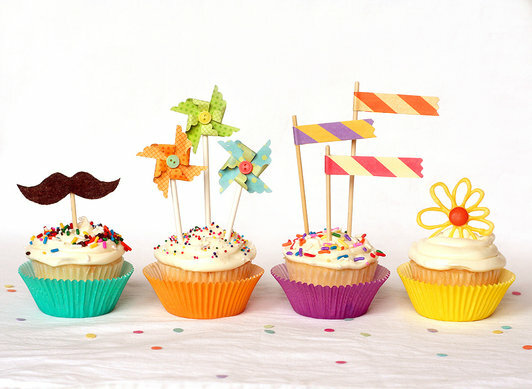 All the cupcake toppers shown here have a tutorial which you will find here! Do you think three pinwheels is too many for this cupcake? Ahhh no! 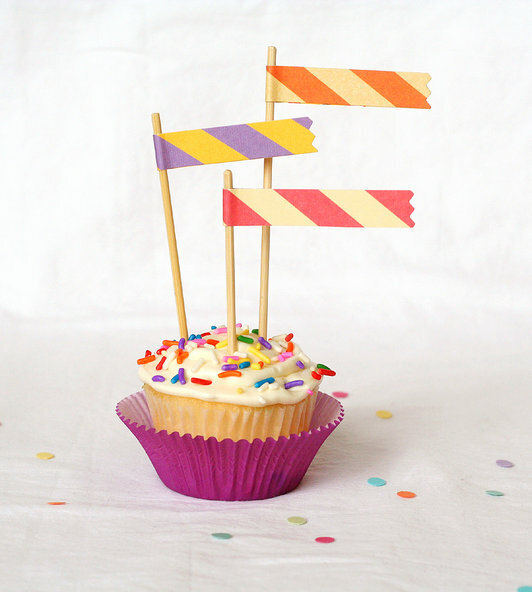 Flags just make any cupcake a little more fun and a little more colorful! This is an edible topper that is darling! Find out how to make it and all the others Here A little touch can mean so much because you know..... you taste with your eyes first! Putting two papers on your cupcakes make them more colorful. The ones you bake them in always become lighter and less colorful. I use the cheaper white or light cupcake papers to bake them in and then put them in the fun, colorful (and always more expensive) papers for display. The toppers are super cute! And, you are so correct! this is the way to serve the cupcake! always serve with another liner, a clean, un used, un baked on liner, on the outside of your cupcake! Sorry, it is late!! Very sweetly, Susan from siasforsweets@q.com!